A new girl arrived! I was able to get Karin by setting up a split- I’m only planning to keep her head and (maybe) wig. 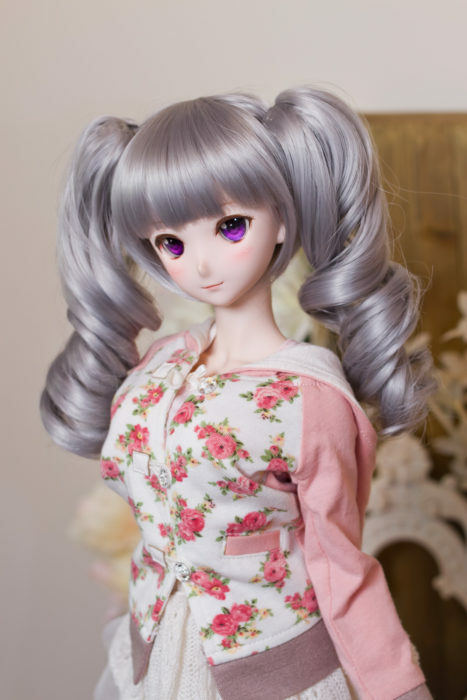 Volks new standard DD models are all new sculpts so eventually I’d like to snag all of them for custom projects, though Karin ended up being my first pick since owner photos revealed she’s super cute. 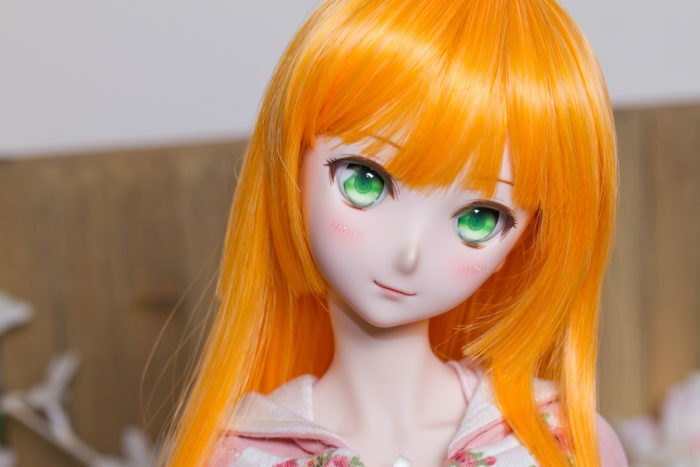 The latest standard models all have more fantasy/anime colored wigs, which I think align with colors/styles available as Doll Point exclusives. This orange hime cut wig is not as saturated in person as it appears to be in photos, it has some blond fibers mixed in. The wig itself seems a bit large and it was somewhat tricky to get it situated properly. 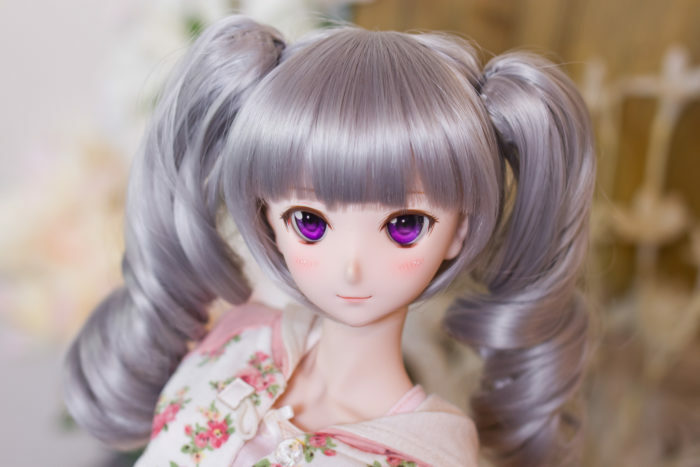 The headcap isn’t visible with some styling but still Volks wig quality is lagging Korean brands. Karin’s eyes are pretty bright green and don’t look like they’re well aligned, so I was quick to replace them. With darker eyes and a less saturated wig, Karin’s look is much more subdued. In terms of style her sculpt reminds me of a more mature Rin- her lips are thinner and cheeks are not quite so chubby. 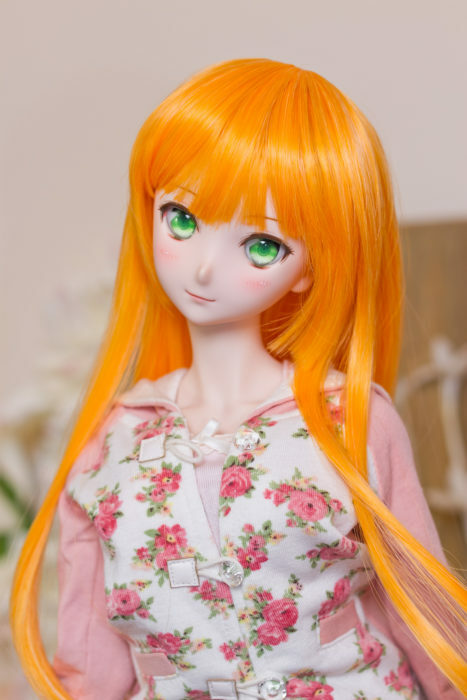 With a custom faceup she could look more like Yuki Morikawa. Although I did expect the shine dots on her cheeks from owner photos, her faceup also includes some painted shine on the lips. Why not gloss? 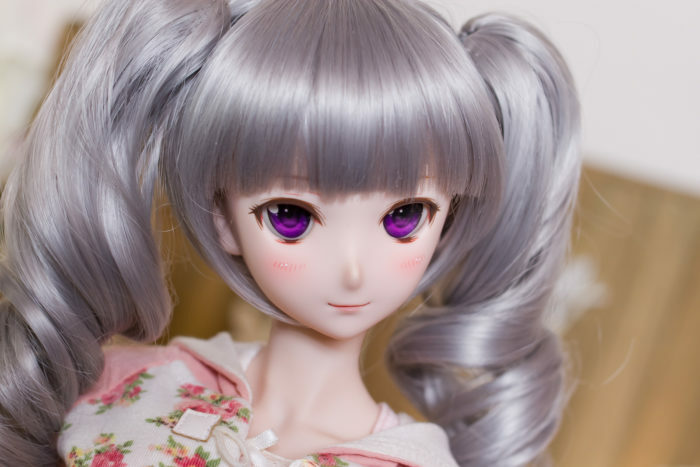 I’m not a big fan, but otherwise her faceup is very detailed and nice.